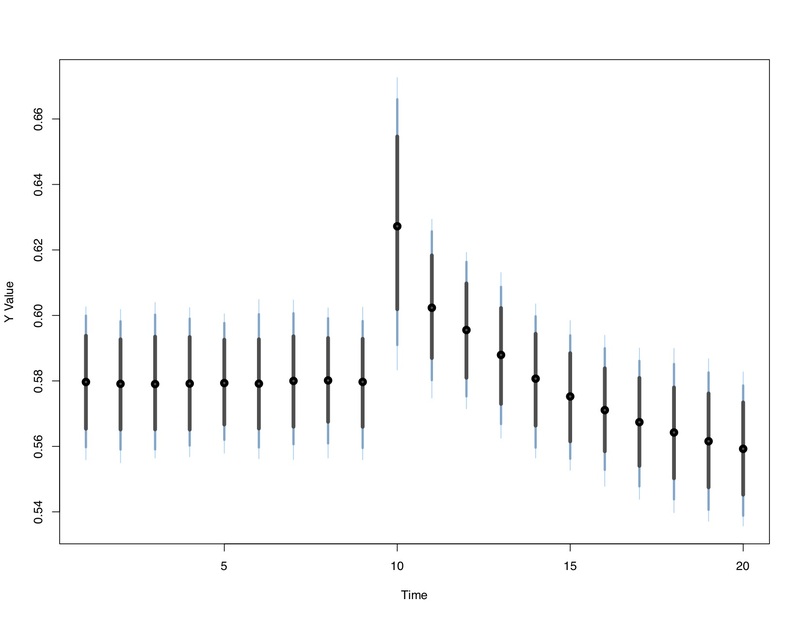 dynamac is a suite designed to assist users in modeling and visualizing the effects of autoregressive distributed lag models, as well as testing for cointegration. Below are the corresponding links for the R and Stata programs. To run dynamac in Stata, type "net sj 18-4 st0545" into Stata, or "findit dynamac"
Jordan, Soren and Andrew Q. Philips. 2018. "Dynamic simulation and testing for single- equation cointegrating and stationary autoregressive distributed lag models." The R Journal 10(2): 469-788. Jordan, Soren and Andrew Q. Philips. 2018. "Cointegration testing and dynamic simulations of autoregressive distributed lag models." Stata Journal 18(4): 902-923. Found a bug? Have a suggestion about how to make dynamac better? Let me know (andrew.philips [AT] colorado.edu) or post it as an issue on Github.